So I have this old picture frame that I got from work a while ago and it was all dinged and scratched, but I always thought I could make something out of it. This winter, I finally got around to it. After several coats of chalk paint and sealing wax, I added some eye screws, twine, and some clothespins. 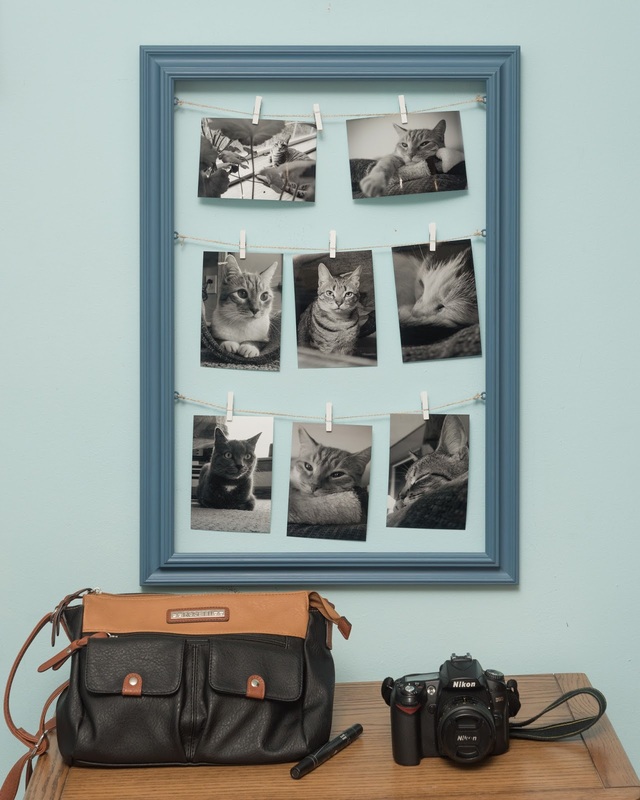 Now, it's a cute picture holder! 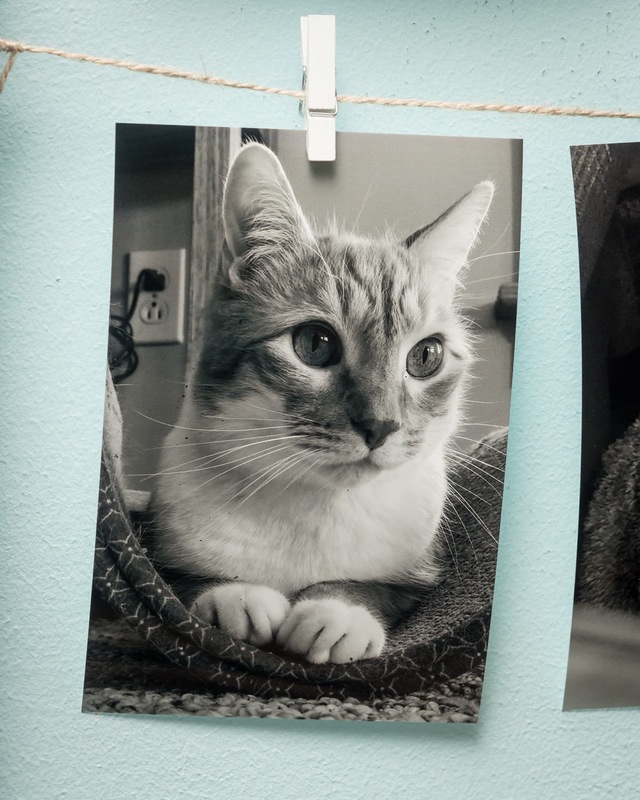 Here it is featuring some black and white photos of our kitties. I can't decide, though, if it should have some kind of backing or just be open to see the wall behind or not. What do you think? Comment below. Thanks for stopping by today! Stay tuned for more art experiments and ideas. Corry Artists' Guild "Spring Safari"